When you have a little one suddenly everything that you’ve always taken for granted seems like a BIG DEAL! Bathtime for a newborn? Traumatizing! (for the parent that is–haha) By the time you have 2 kiddos (like me) you’re an old pro! My top tips for bathing a newborn or baby? Use it as bonding time when they’re little and you have to watch every move anyways, make them giggle, talk to them, enjoy those precious fleeting moments! And because anything related to babies makes me think of this, I have to share this amazingly adorable video of Amber when she was itty bitty in the tub! 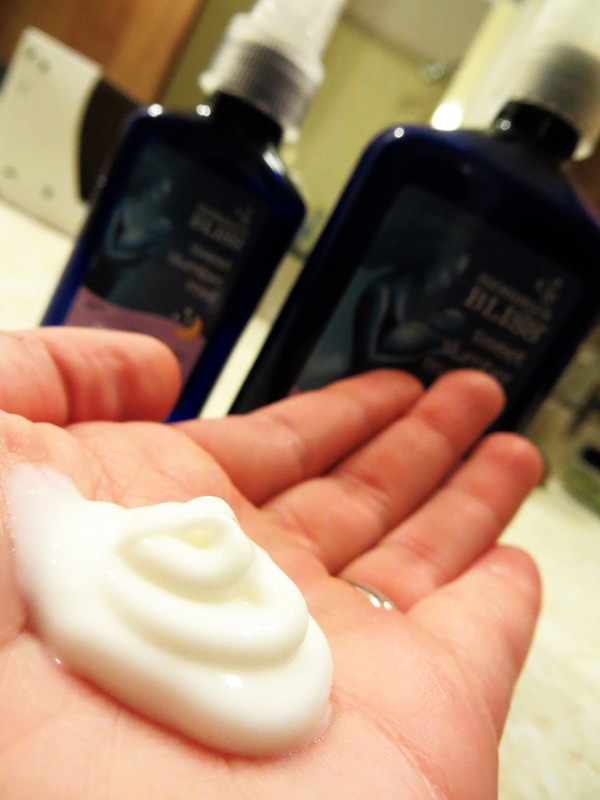 Having great bath products can make all the difference whether you have a newborn or a “big kid”. 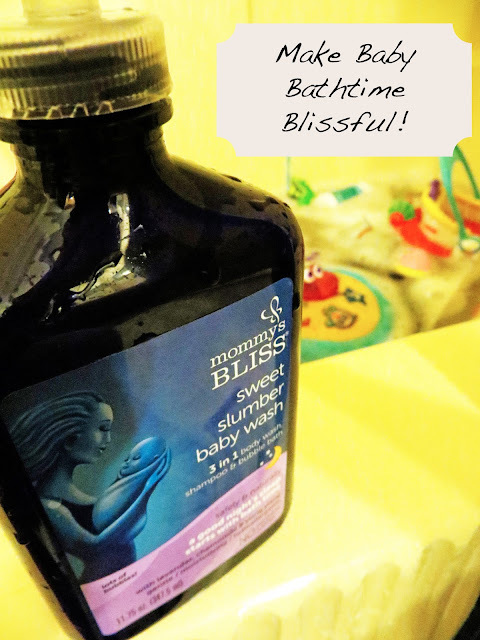 As you know my kiddos both have sensitive skin, so when it comes to bathtime I’m always on the lookout for great, all natural products to use for them! 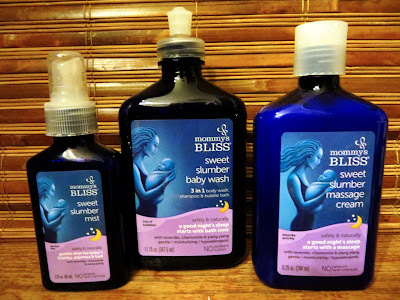 Mommy Bliss has just released the first and only line of Natural Bedtime Products for Infants — a big deal when you’d love to use the “soothing” nighttime lines on your baby but can’t because of their sensitive skin! Each is made with all natural ingredients that are hypo-allergic (meaning I can use them on Amber too!!!) and each contain essential oils that are historically associated with relaxation and sleep such as English Lavender Oil, German Chamomile Extract and Ylang Ylang Flower Oil, among other natural, soothing botanical ingredients. One of the best things about this line? The availability and the price! They retail for between $5.99-7.99 and you can pick them up at Walgreens! Don’t forget to pin this post–just click the little button at the top and add it to your Parenting or “Green” board!